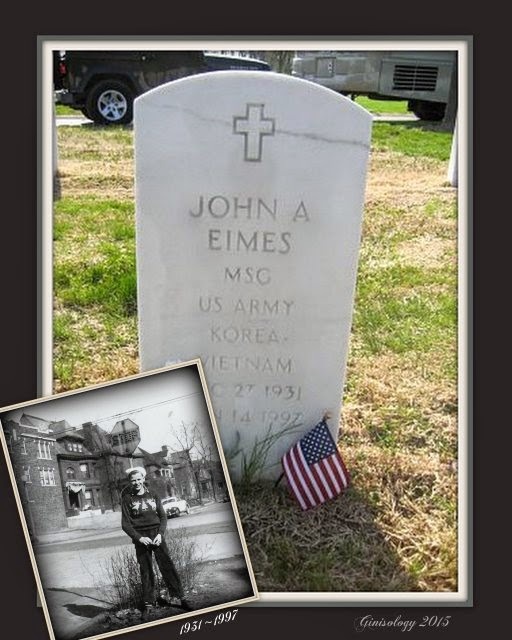 Eighteen years ago today, my father, John Adam Eimes passed away at St. Johns Mercy Hospital in Creve Coeur, St. Louis, Missouri. His final resting place, next to my late brother, Michael (1974-1992), is at the beautiful Jefferson Barracks National Cemetery in Lemay, St. Louis, Missouri. My dad left behind many that love and miss him and who are so very proud of him. Rest in Peace, dad . . . .